Seattle, WA – Omega Delta Phi (http://www.omegadeltaphi.com) announced today the appointment to the vacant National Undergraduate Representative position on the National Board. The National Undergraduate Rep represents the voice of the undergraduate body in national policy and also helps with communication of the resource needs for the undergraduate students. 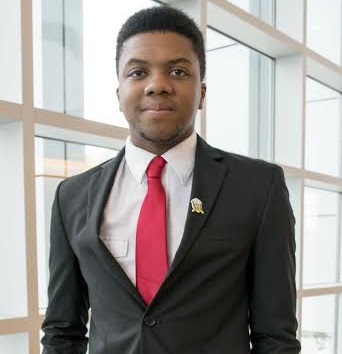 Omega Delta Phi welcomes, Brother Anfernee Bonds (University of Texas – Dallas) as the newest National Undergraduate Rep, serving in the Office of the President. Brother Bonds is currently a sophomore and majoring in communications. Having crossed in Fall 2014, Brother Bonds has been extremely active in Greek Life and upholding the sacraments of Omega Delta Phi. “It is always encouraging when we have men willing to step up to the challenge and be a part of something great.” said National President Tony Pagliocco, “Having someone who has the desire, the hunger, and the vision of wanting to better the Brotherhood is exactly what we need on our National Board”. “I’m extremely excited to be chosen to represent the undergraduates and my goals are to help mold ODPhi to become the great fraternity that we all know it can be, for undergraduates and alumni. ” said Brother Bonds in response to his new position.